Are they national interest friendly ? Following its failure to enforce the ICC award in Bangladesh, Saipem invoked the BIT between Bangladesh and Italy 1990. Its Article 9(2) gave a free hand to Saipem to submit its dispute at its ’discretion’ to ’an ad hoc Arbitration Tribunal’ explicitly mentioning ICSID. Saipem merely exercised this discretion by opting for ICSID. This BIT also contains a provision on indirect expropriation : ’Investments of investors of one of the Contracting Parties shall not be directly or indirectly nationalised, expropriated, requisitioned or subjected to any measures having similar effects in the territory of other Contracting Party’ (Article 5(2)). The expressions ’any measures’ and ’similar effects’ are undefined and open-ended, which arguably allowed ICSID tribunal to hold that the HCD revoking the ICC arbitration and award deprived Saipem of the financial benefit of the ICC award, amounting to ’measures having similar effects’ and hence indirect expropriation (ICSID Case No ARB/05/7, award of 30 June 2009 paras 122, 124, 153). Bangladesh objected to ICSID jurisdiction, arguing that the dispute was not an investment dispute as the gas sale proceeds did not constitute an investment under the ICSID Convention, which requires such money/proceed needs to be invested to earn interest/profit (Art 25(1)).This definitional argument was narrow and self-contradictory with Bangladesh’s own practice of broad definition in BITs. Its BIT with the US 1986 defines investment as ’every kind of investment owned or controlled directly or indirectly’ including ’a claim to money or a claim to performance having economic value’ (Art 1). The definition of investment in its BIT with the UK 1981 says : ’every kind of asset’ including ’claims to money or to any performance under contract having financial value’ is an investment (Art 1). 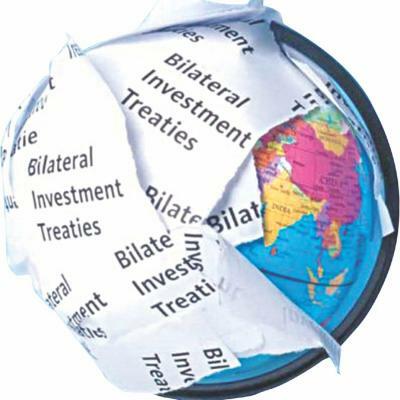 The Niko-BAPEX joint venture agreement specifies that disputes would be resolved through ICSID arbitration (Art 18). Its dispute settlement procedure does not require the exhaustion of domestic remedies as a requirement for resorting to external remedies, which allowed Niko to avoid the Bangladesh court’s jurisdiction.